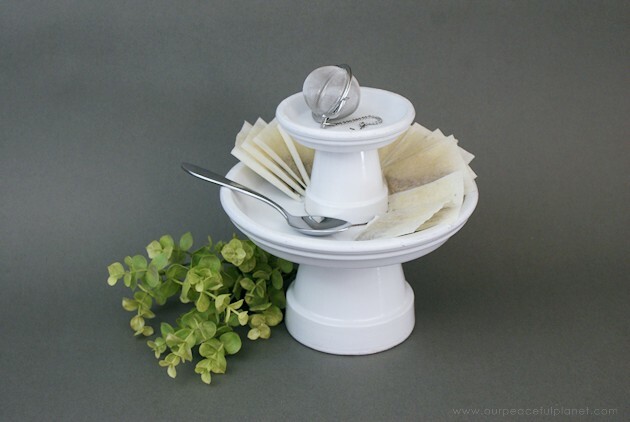 This small DIY cake stand “can” be used for cake without the top tier but it’s really meant for holding fruit, cookies, nuts, candy, cupcakes tea bags etc. 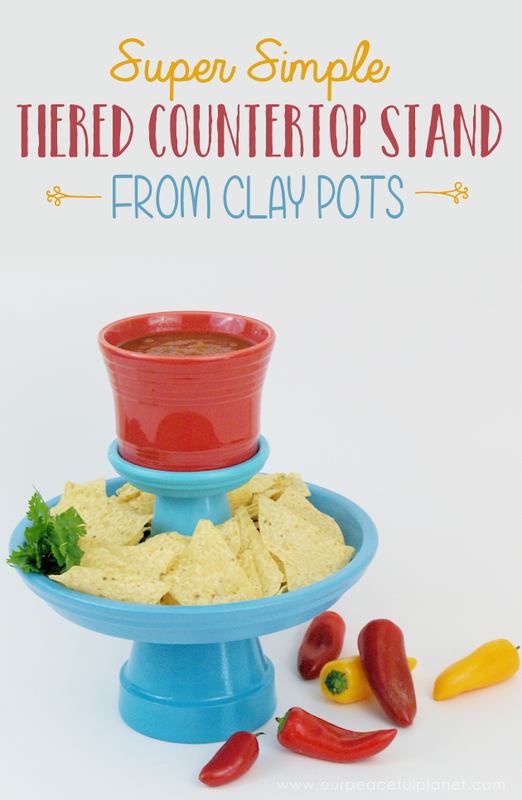 Made from clay pots, it’s simple and inexpensive to make and looks lovely sitting on your counter or table or buffet. 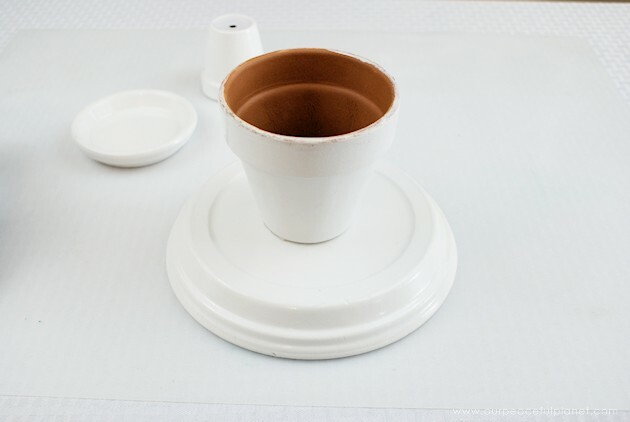 In fact you can make a matching set with our Elegant DIY Clay Pot Sugar Dispenser. 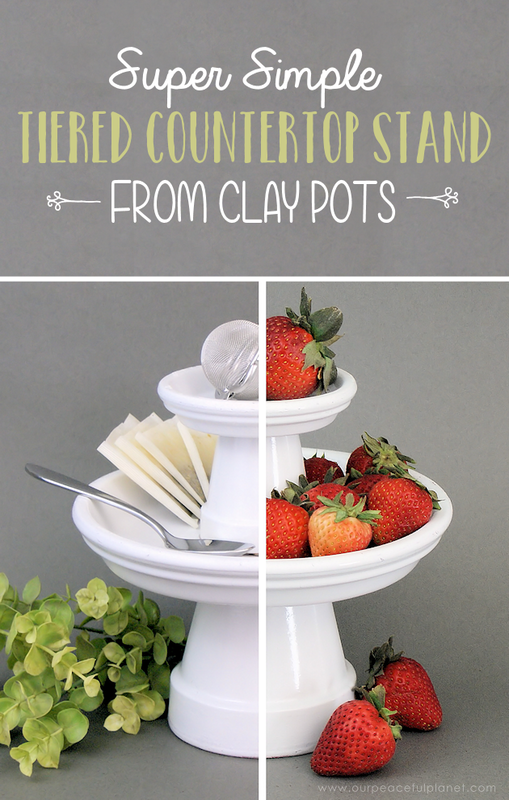 We even have another version of a DIY Sugar Bowl here that we made to match our kitchen makeover. 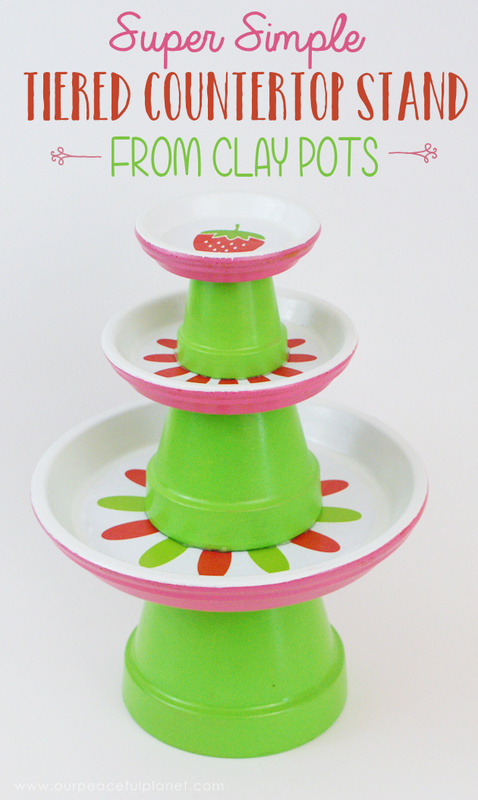 So grab you some clay pots and have fun! Gather your supplies. We used the pot & plate sizes listed above, but you can use 10″-4″ plates with 6″-2 1/2″ pots in the arrangement of your choice. 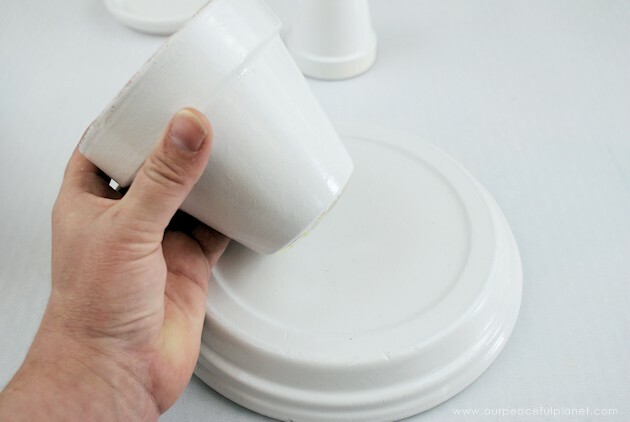 Begin by painting the pots and plates with an acrylic paint. 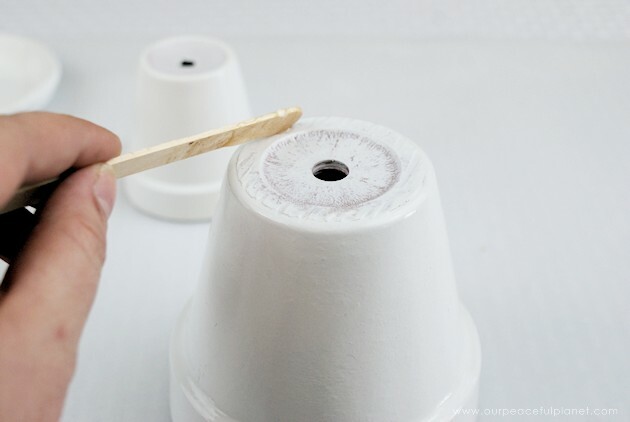 TIP: If you opt for spray paint, be sure to coat everything in a base coat of acrylic first. This will allow the spray paint to adhere to the porous surface more easily, preventing the need for 3-4 coats. 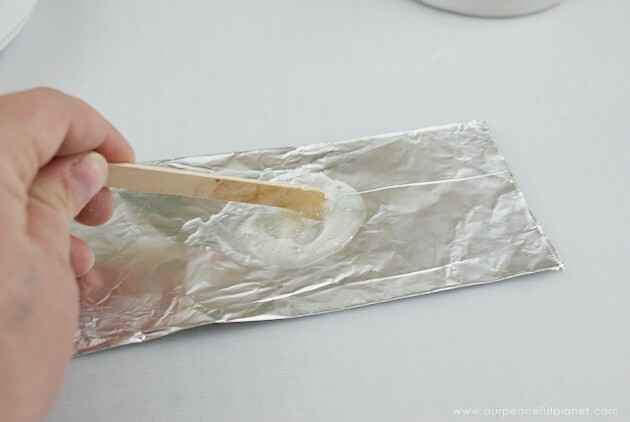 Once dry, disperse a significant amount of epoxy. Mix thoroughly per the instructions. 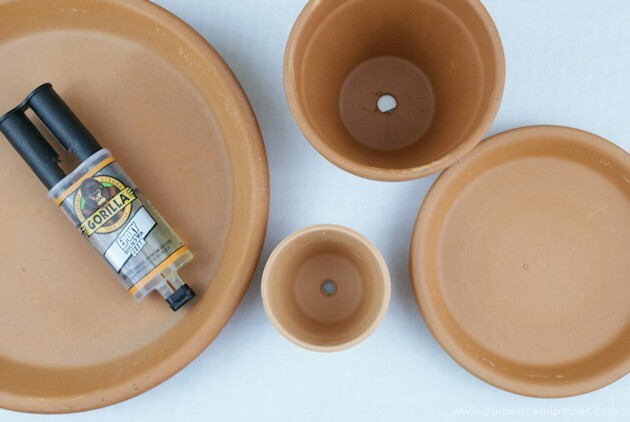 Using a craft stick, apply a generous amount of epoxy to the bottom of your largest clay pot. 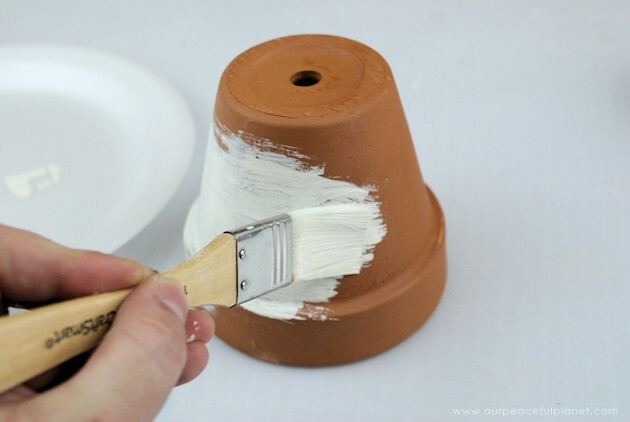 Turn the largest clay plate upside down and place the clay pot, glue side down, into the center of the plate. 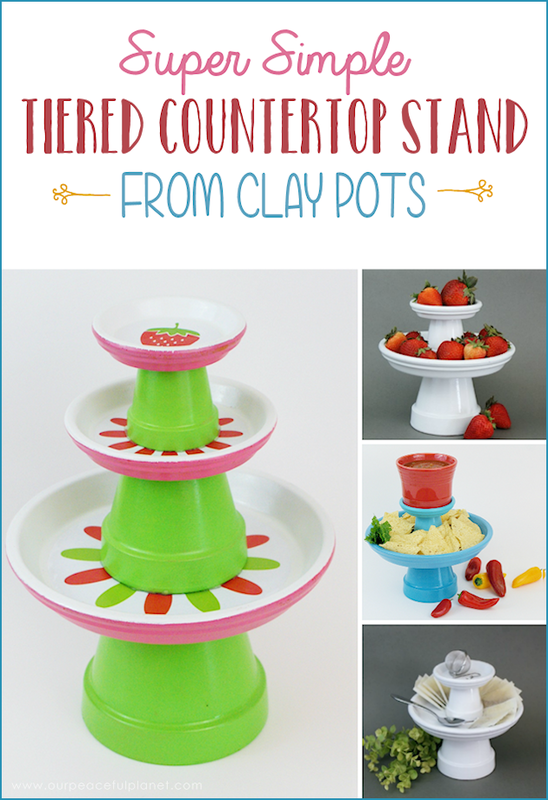 If you choose to Mod Podge our free graphics on you would need to do so before gluing the pots on. 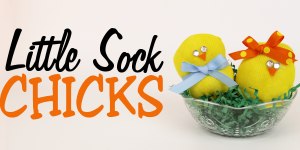 Take a peek at the bottom of our post for the Mod Podged version! 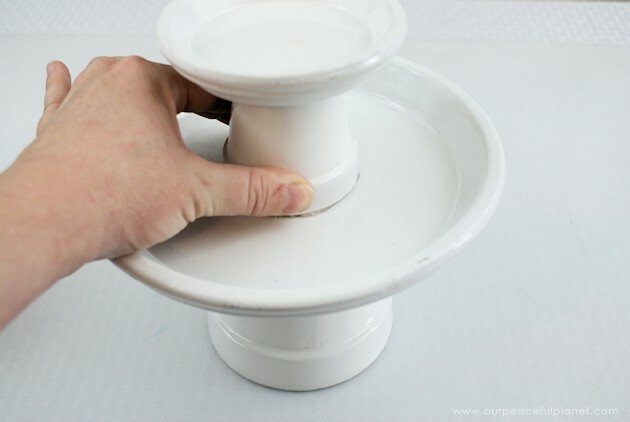 Repeat this step with the smaller pot and plate. Let set for 15 minutes. 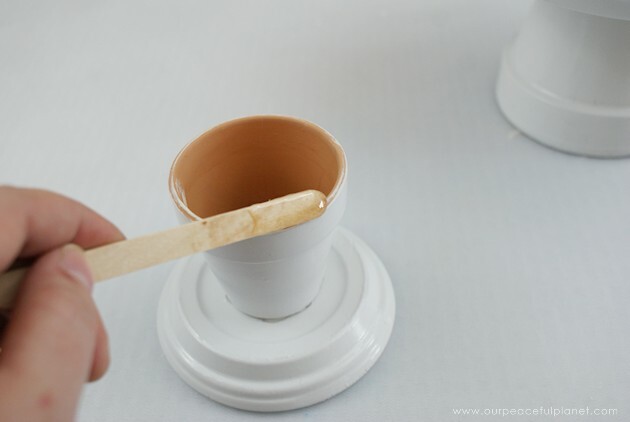 Place a line of epoxy around the lip of the smallest pot. 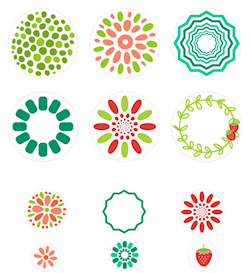 Carefully flip over and place in the center of the large plate. Let dry overnight. 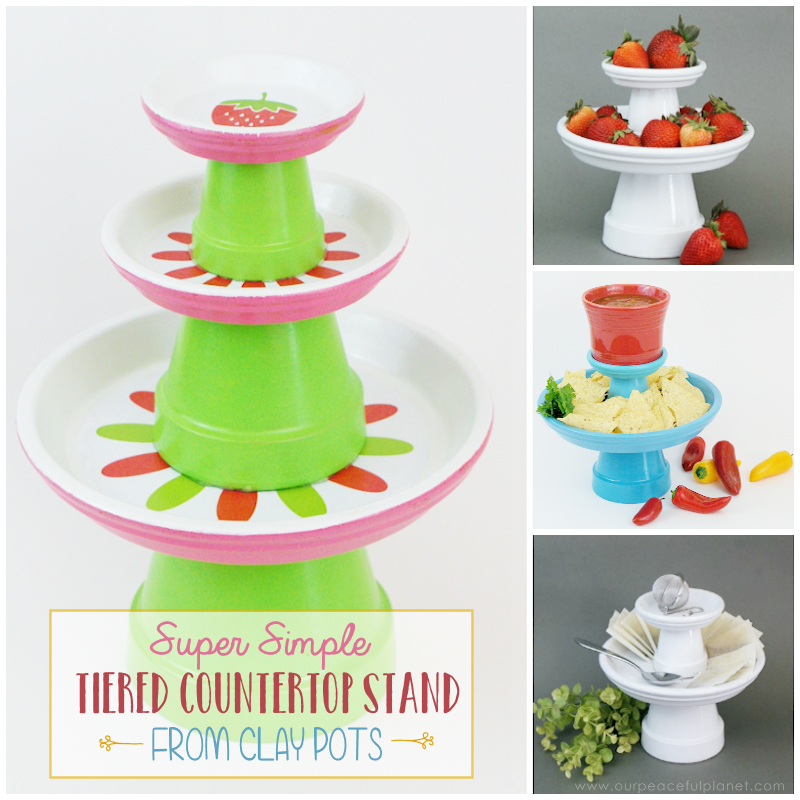 This project is so quick and simple that you’ll have a beautiful counter top stand in no time! 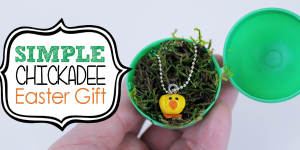 Use it to hold fruit, tea, cooking spices or your cell phone and keys. 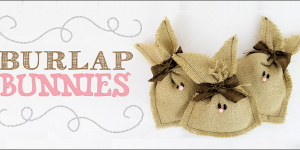 Want an easy to do design? 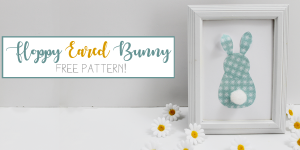 Check out our free printables that give you a variety of options that you can print, cut and easily Mod Podge onto the plate surfaces prior to gluing! Where can I find a list of paints, glue etc. I love this idea of yours and every thing is so eloquent. We’re in the middle of packing for a move so I didn’t have access to the paints but I “think” these are the other colors used besides white, for the other tiers. The red bowl was a bowl we already had and was not painted.. 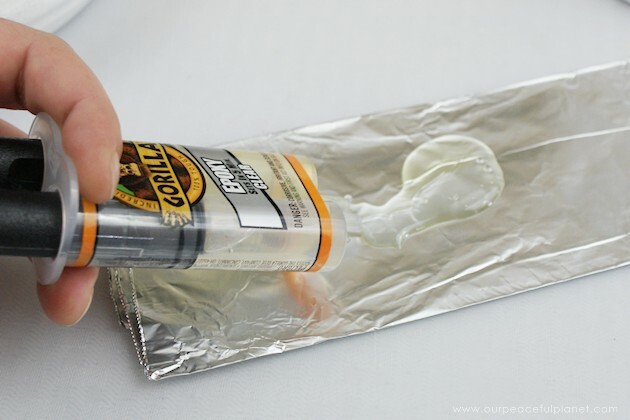 The glue was an epoxy and its listed under Supplies on the post. 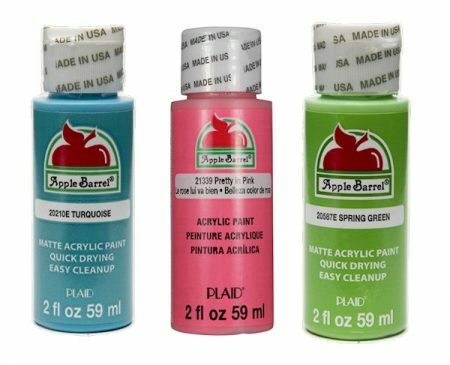 All Apple Barrel brand. Turquoise, Pretty in Pink and Spring Green. 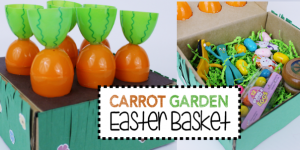 Amazon should carry but any craft store or Walmart with a craft area should have them. Ü Thanks a bunch! 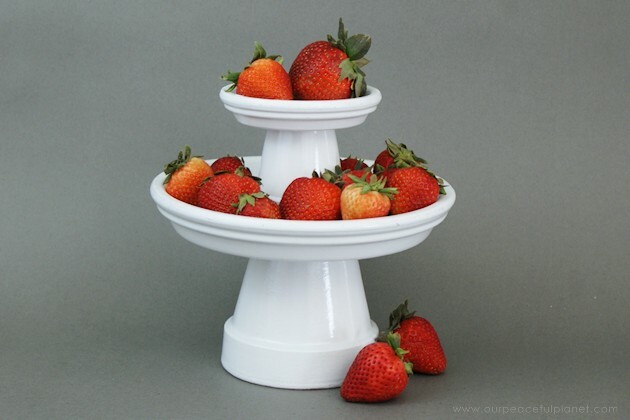 Hi there, would a terracotta pot hold the weight of a 3 tier wedding cake? Would like to use one to hold a piece of marble, just wondering if it will be sturdy?? I would “think” a large one would definitely hold it.They are really thick and sturdy! 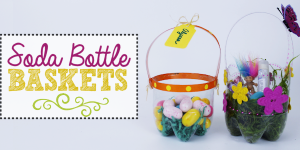 Pingback: Gold & Teal DIY Gumball Machine For Candy etc.